It is one of the most discussed topics in this domain: desktop traffic vs. mobile traffic. It seems that this year is the turning point of the highly anticipated switch, when mobile traffic will take over desktop traffic. Of course not everywhere, at least not yet, but in the US of A this switch will probably happen this year and pretty soon, I might add. If you don’t believe me you better believe the guys from Google because since April the 21st mobile-friendly websites will rank better than pages which are not optimized for mobile devices. Before going further with the algorithm change Google will make, I would like to emphasize on the fact that mobile traffic is rising at an enormous rate everywhere in the world, not just in North America. According to latest reports from Cisco they made in February 2015, they estimate that mobile data traffic will grow ten times until 2019, with a yearly growth rate of 57 percent. I forgot to mention, these are the estimates globally and do not include traffic from mobile devices which are connected to WI-FI. You can find out more about Cisco’s forecasted data highlights for different regions and you can also check the infographic they made. Google announced recently that it will consider a site’s mobile friendliness as a ranking signal. If you have access to your Webmaster Tools account, you probably know what I am talking about because you might have received some notifications regarding some issues you might have with your site regarding mobile usability. It is interesting that Google announced this change in changing how they rank a website in mobile searches because…well they usually don’t do this explicitly. The update is somehow expected in the world of SEO and this had to happen sooner or later. The algorithm update won’t penalize your ranking like the Penguin or Panda but it will have an impact on your page’s performance within mobile search. Put it simply, Google will rank better mobile-friendly, responsive sites than non-mobile-friendly pages in their mobile search. After all, it’s all about the user and trends. Since mobile traffic is growing this is almost a natural point of direction. You have to put yourself in the users’ perspective and ask yourself: is my site well built for mobile users, is it working flawlessly, is it user friendly? If the answer is no to any of these questions, then you definitely need to work on your mobile optimisation. 1. A responsive design as a mobile solution is more preferable than separate, dedicated mobile site. 2. This is a real-time search algorithm update, meaning that if you make the changes for mobile users, the results will be measurable the next time Google indexes/crawls your page. Slow mobile pages – don’t leave the users hanging for a long time so make sure your page loads quickly. you can use Google’s Page Speed Insights to find out more about your site’s speed. If you haven’t thought about it until now, then now is the time. Time to take action that is! Stop procrastinating! Because more and more visitors on your site come from mobile devices. Just check your Analytics – is it around 30% or more? I bet it is. 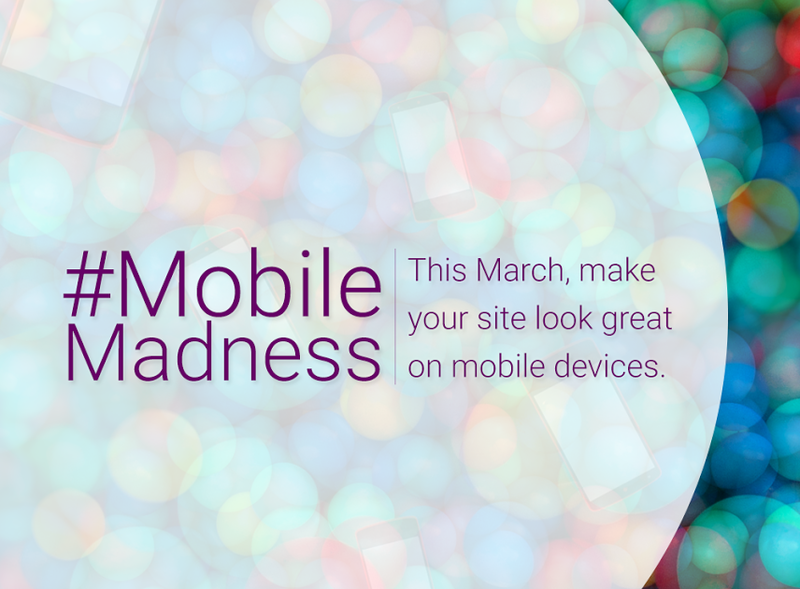 You may be losing revenue if you lack a mobile-friendly website. Because Google announced search ranking change and websites which are mobile-friendly get a cookie… okay, not a cookie, obviously, but something much better: better ranking on mobile searches. Now! Yesterday! A year ago! NOW! If you don’t have a responsive, optimized, mobile-friendly site, chances are you are losing potential customers. Change is coming pretty soon, don’t miss the boat or it will leave without you. April 21st, save the date! First, test your pages with Google’s Mobile Friendly Test. You can also use Webmaster Tools to get a list of issues using Mobile Usability Report. If you have experience in the ever-evolving SEO, make all the changes you need to comply to Google’s standards. If you need help, don’t hesitate to ask the help of professionals like us. 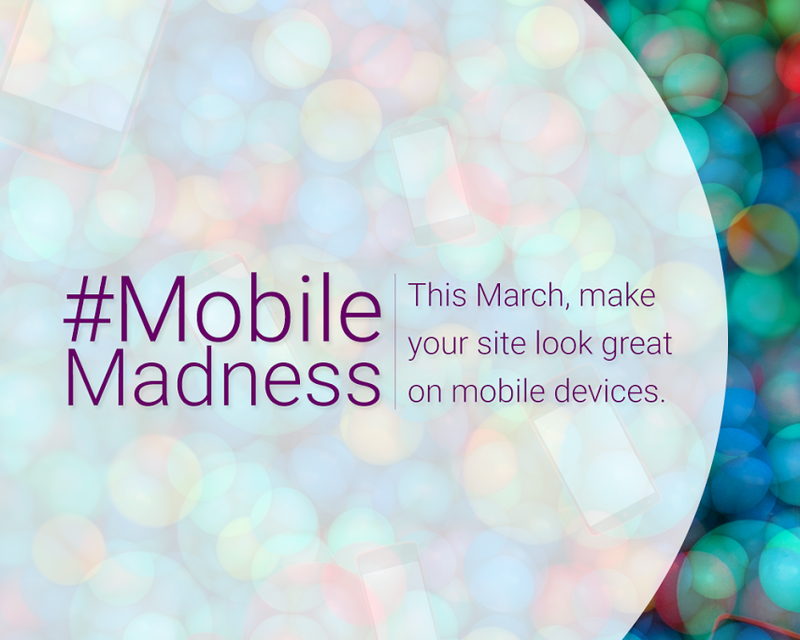 You can follow all the latest news about this algorithm change, just type #mobilemadness in your Google Plus search bar. Have a good one! Including your website! Get me a fully optimized, mobile-friendly site!